During Hitler’s reign following the fall of the Weimar Republic, he established media practices which supported and spread his ideology to the public to gain followers. This was propaganda. Film, music, newspapers and other mediums would be devoid of Jewish artists and sought to establish a feeling of hate towards Jewish people which all boiled up throughout his reign and inevitably lead to the sinister Final Solution made by Himmler. 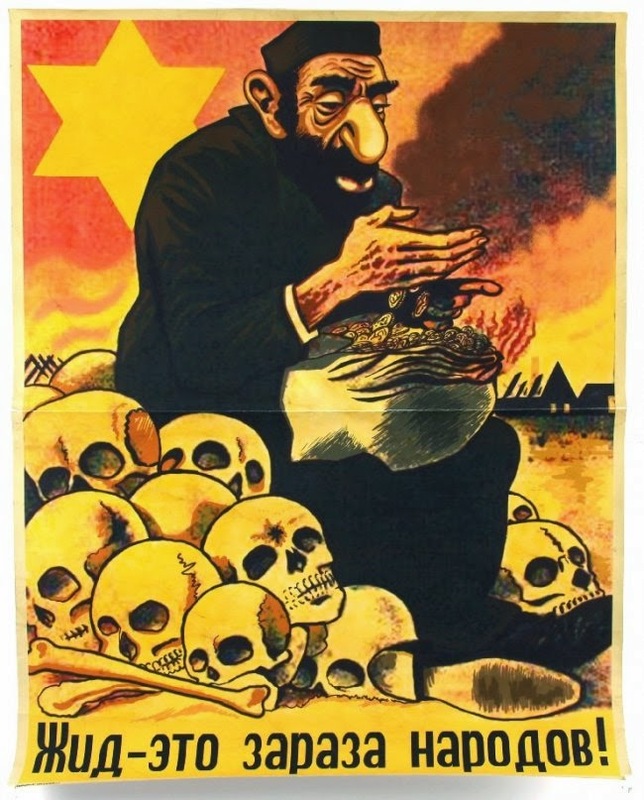 This use of propaganda created a highly negative perception of Jewish people. The images below illustrates how they were viewed to the public. With the German public being exposed to these images, it is clear to see how such perception of Jewish people would be influenced by Hitler’s control of the media. The control of the media today, despite not being as sinister as that of Hitler’s, does contain many factors of how the Nazis controlled the media. Such as that how ideologies are forced on the public through the media we interact with on an everyday basis. Trending topics such as the war on terror is where the modern media share a similarity with the Nazi control of media wherein the media illustrate all Islamic people as terrorists who seek to kill all of the western culture. Whilst it is a two way street, there are a large population of Muslims who do not support the movement of the extremists and condemn their actions. These Muslims are the ones who are highly affected by the media’s representation of the Islamic culture and as a result, some of the general public who hold strong opinions against the religion as a result of the media’s representation of the culture as a whole, take actions such as rallying against Islam or even worse like attacks on innocent Muslims. In retrospect to that, it is clear to see how media ownership and how they control it impacts the way we interact with the media. Whilst scrolling through Facebook in search of dank memes and funny videos, one would pass through articles, videos and posts which all express the ideology of the media owners. Who exactly are the media owners? the answer to that is complicated, but it is clear that political and social influence play a huge part of what we see through the different mediums we interact with. You have really hit the nail on the head here! Your links to modern history are really helpful in gaining understanding about the media control and its influence on public opinion throughout time. The visuals were a great idea in solidifying those negative perceptions media has portrayed, as well as the rhetorical question allowing myself to ponder, who is really controlling what we see? The concept is quite clearly communicated in all aspects. Particularly your strong link to the media’s heavy influence on our western society’s perception on global issues and politicians.